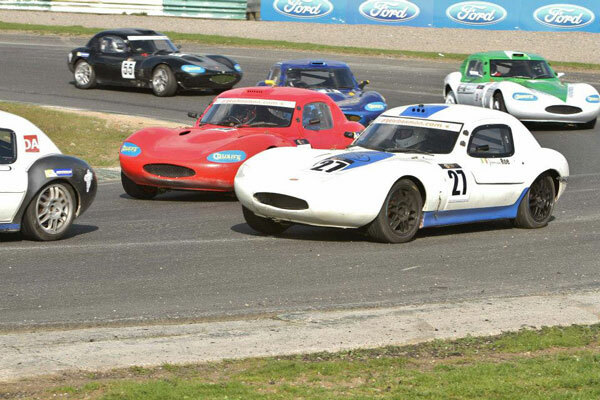 Mixed fortunes for Johnnie Mulholland and Jack Finlay for rounds 1 & 2 on 13th April in Mondello Park with a DNF for Johnnie in Race 1 having started in pole position, and a DNF for Jack in Race 2 who also was in pole position!! Charlie was not on his usual form having had a bad time in testing on Saturday and it was great to see that the car on the grid on Sunday after a lot of hard work on Saturday night to get it ready. Our 4 new competitors (James, Wilson, Jordan & Loris), as you can see from the results, are right up there already!! Looks like we will have a very close championship this year. Wilson Thompson leads the championship on 31 points only 2 points ahead of James Roe, with Jordan Dempsey (Motorsport Ireland Novice of the Year 2010, TKC Cadet Champion 2012 & 2013) very close behind on 26 points.